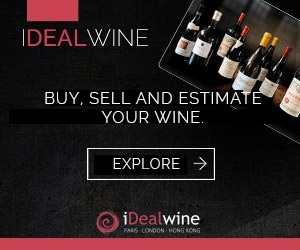 The iDealwine WineDex® indices ended the first quarter of 2015 with an increase of 3.85%. A trend following the rise of great Burgundy and Rhône wines, while Bordeaux prices were down 1.23%. 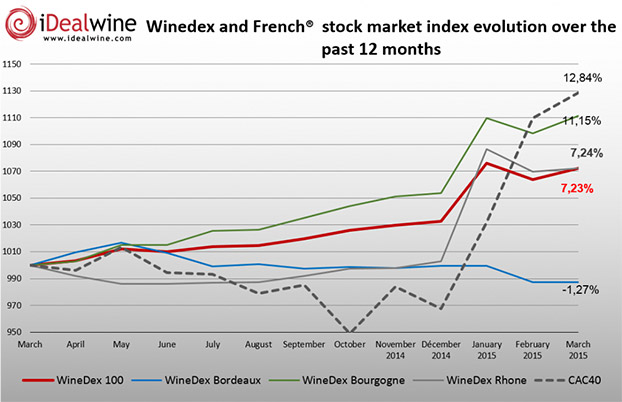 At an increase of 0.78% for March, the WineDex® 100 rose 3.85% in the first quarter of 2015. This good performance can be ascribed to the strong demand for Burgundy wines, popular due to its scarcity, combined with attractive prices for customers located outside the euro zone. 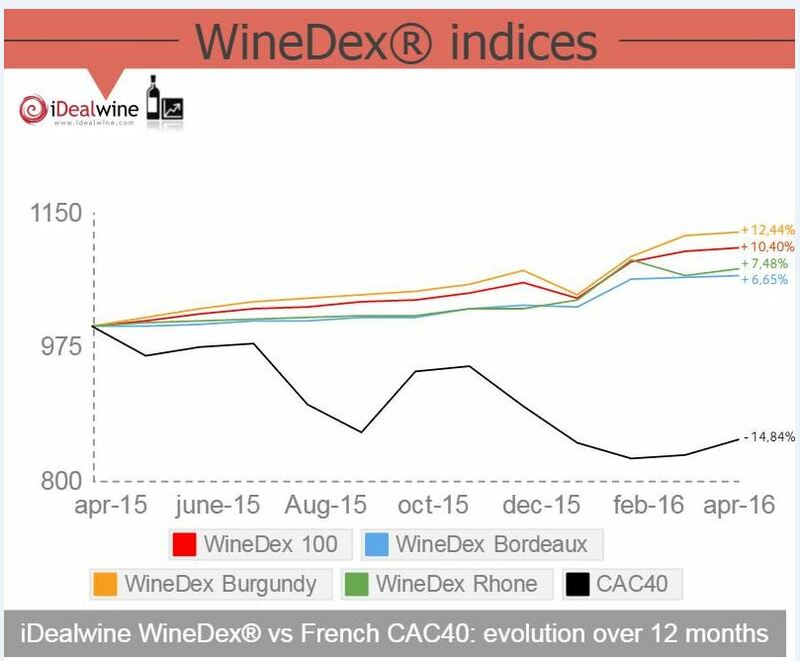 The price increase is clearly driven by the WineDex® Burgundy, which registered a performance of +5.49% since the start of 2015. The wines of the Rhône Valley have risen even more – up 6.95% in the first three months of the year, the WineDex® Rhône welcomes the renewed interest of top wines from the northern regions of Côte Rôtie and Hermitage. 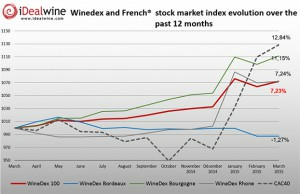 Bordeaux wines meanwhile recorded a slowdown. 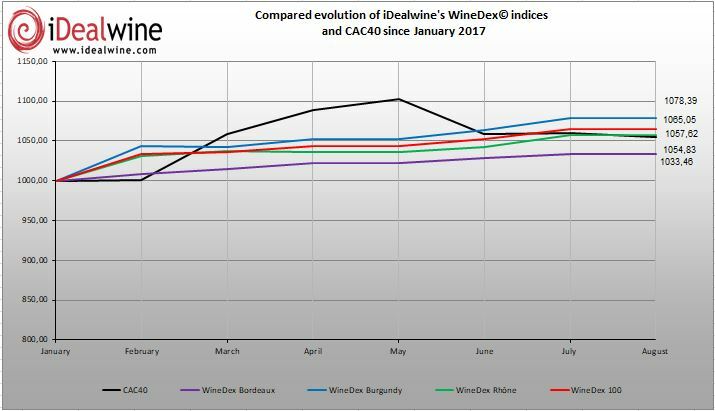 After a steady month in March, the decline of the WineDex® Bordeaux remained at -1.23% for the first quarter. Wines of the 2010 vintage – the most expensive of the lot – are struggling to find buyers, weighing down the overall performance of the index. 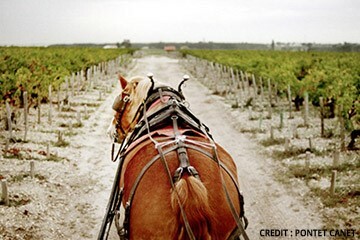 Bordeaux now enters the waiting period preceding the start of the En Primeur campaign; a period generally not conducive to price movements at auction.